Philip Martinez was born in Hazelton, PA to Emilio Martinez (naturalized citizen from Santibanez, Spain) and Bertha Herbinko from Hazelton, PA.Philip and his parents moved to Spain in 1932 and soon welcomed the arrival of Philip’s only sibling, Augustine Martinez. A couple of years later, the family moved back to the States with Philip at age 7,speaking little English. His formative years were spent in Amsterdam, NY. Philip was raised in a household that valued hard work. His father, Emilio, spent many years as a laborer with Niagara Mohawk. Philip many times told the story of his father’s first day on the job swinging a sledgehammer all day much to everyone’s amazement. When his boss asked how his first day went, Emilio responded that he could’ve gotten a lot more done if they had given him a heavier hammer! His mother, Bertha, left home as a teenager to find work because her family didn’t have enough to make ends meet. She would eventually be the area midwife that people looked to for help and she would eventually spend many years working at Mohawk Carpet. Philip’s parents expected that same work ethic from him and his younger brother, Augie. Growing up, he spent many days on a ladder scraping paint and/or painting from dawn ’til dusk. In his free time as a child, Philip often volunteered (at his parents’ suggestion) to play accordion at public events and private parties. Little Philip was often featured in local newspapers as the boy who performed with the accordion. As many may know, that is particularly interesting considering the fact that Philip had a tin ear (he always claimed he knew all the notes). Philip graduated from Wilbur H. Lynch High School with the class of 1946 and completed military service at Camp Carson, Colorado in 1946 and 1947. He was a cook in the army and occasionally showcased those skills years later for his family. In 1947, he entered the Pre-Med program at St. Lawrence University in Canton, NY. Although the tennis coach pleaded with him to join the team (due to the fact that he seemed to be the strongest player), he had to decline because he was taking a heavy course load and labs would prevent him from attending the team’s practice sessions. After graduating with his B.S. 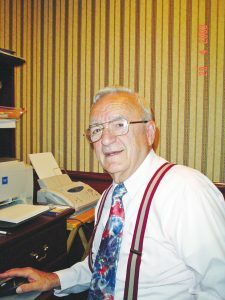 degree a year early, he enrolled at State College of Medicine Syracuse University (Upstate Medical Syracuse) and received his MD degree in 1954. Dr. Martinez then interned at Albany Hospital in 1954 and 1955 and was a resident in surgery at University Hospital, Syracuse in 1955 and 1956. It was during these years that Philip witnessed an autopsy which caused him to quit smoking cigarettes. He would go on to hound his patients regarding the dangers of smoking for many years to come. In 1956, he married Gloria Anne Harrington, from Groton, NY who graduated in 1951 as a Registered Nurse from the Rochester School of Nursing. Philip always commented that Gloria was his better half, and all knew that she carried the bedside manner for both. It was Gloria who enabled Philip to concentrate on the practice of medicine. Philip and Gloria moved to Hoosick Falls in 1956 when they took over Dr. Stacy’s practice after he retired and went back into active duty in the Army. Gloria worked by her husband’s side for 42+ years and continued to work in her son’s (Marcus) practice until retiring in 2015 – 59 years after arriving in Hoosick Falls. She ran the practice as well as the household of six children – each ran like a well-oiled machine. With her support Philip found the time to deliver 4800+ babies (averaging almost 3 babies per week) over 32 years (he stopped delivering babies in 1988). Philip always made house calls and prided himself on being available for his patients. He often stated that his motto was “availability, availability, availability.” He believed if the patient can’t get to you, you go to the patient. He didn’t believe that good medicine could always be practiced in a 10-minute office call. Because his practice didn’t have appointments, patients often had to wait hours to get in to see the doctor. However, the patients always knew that they had his undivided attention when he entered the room. A book could be written for all the stories told about Dr. Martinez. The stories could be about the times he took cigarettes from people’s pockets at school football games, delivered newspapers to residents at the Hoosick Falls Health Center or simply kissed patients on the forehead because he cared. He has been referred to as the best diagnostician on the east coast. Countless people have stories about “how Doc saved my life.” Phil Martinez was a man who spoke his mind because he believed in what he had to say. Philip wasn’t typically overly emotional. He imparted advice to patients like he did with his family. It made sense because he loved them both. Philip retired from private practice in 1999. At the age of 71, his days of opening the office at 6 am and closing at 10 pm were over. He looked forward to spending more time with his family and eagerly anticipated the return of his youngest son, Marcus, who would follow in his footsteps a few short years later. At age 72, Phil took to the Internet where he found a whole new world devoted to medicine. 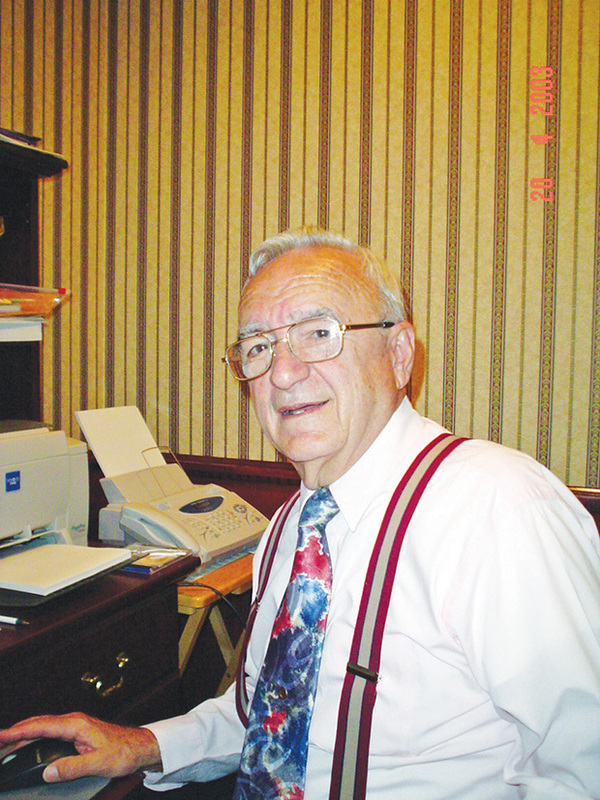 He kept his medical license and took continuing medical education courses well into his eighties. Retirement enabled Philip to spend more time doing things he loved. He was a voracious reader with what appeared to be a photographic memory, which would explain how he was able to remember minute details of people’s medical histories or names of professors or university buildings from 60 years earlier. He and Gloria loved to golf, and Philip was ambidextrous with a television remote. For many years, he and Gloria could be found at the Country Restaurant (Williamstown) or on vacation at the Basin Harbor Club in Vergennes, VT. He loved the holidays when family and friends could always be found congregating at Parsons Avenue in the kitchen or living room. The community members, who called him their own, were indeed his extended family, and he appreciated the care they showed him and his family. He loved his home, Hoosick Falls, and Hoosick Falls loved him. The community lost a pillar, and his family lost a husband, dad, grandpa, uncle, father-in-law and brother-in-law. Though Philip is gone, his spirit will not soon be forgotten. A Mass of Christian Burial was offered on Thursday January 31 at 11 am from St. John the Baptist Church in North Bennington, Vermont. Committal services will be private at the family’s request. Relatives and friends called at the Mahar Funeral Home, 43 Main Street in Hoosick Falls on Wednesday January 30 from 1 to 6 pm. Memorial contributions may be made to the Hoosick Falls Health Center Foundation, the Karen & Molly McGovern Memorial Fund or the Cancer Crusaders of Bennington through the funeral home.